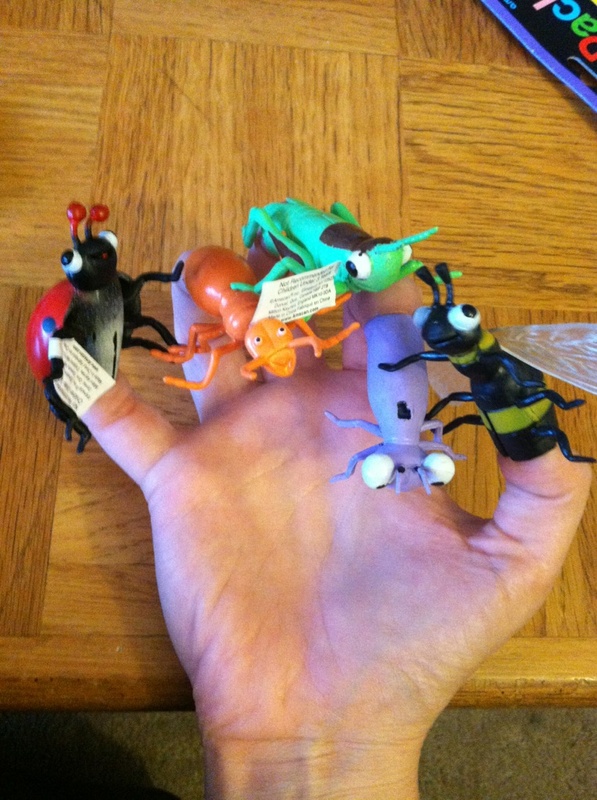 Finger puppets…notice the bumblebee…he will get used in my lava/worm/bee paper. I bought several. Tonya, I’ll be sending you one shortly in your promised package. Libby – you may have to beg me, solely because I freaking hate putting packages together. 🙂 From Party City. Can use to isolate finger..